Why do ballpoint pens write better on pages that have pages below them? If I write on the starting page of a notebook, it will write well. But when there are few or no pages below the page where I am writing, the pen will not write well. Why does this happen? I'd say the culprit is the contact area between the two surfaces relative to the deformation. When there are other pieces of paper below it, all the paper is able to deform when you push down; because the paper is fairly soft and deformable fiber. If there is more soft deformable paper below it, the layers are able to bend and stretch more. This deformation creates the little indents on the page (and on pages below it; you can often see on the next page the indents for the words you wrote on the page above). The deeper these indents are, the more of the ballpoint is able to make contact with the surface. 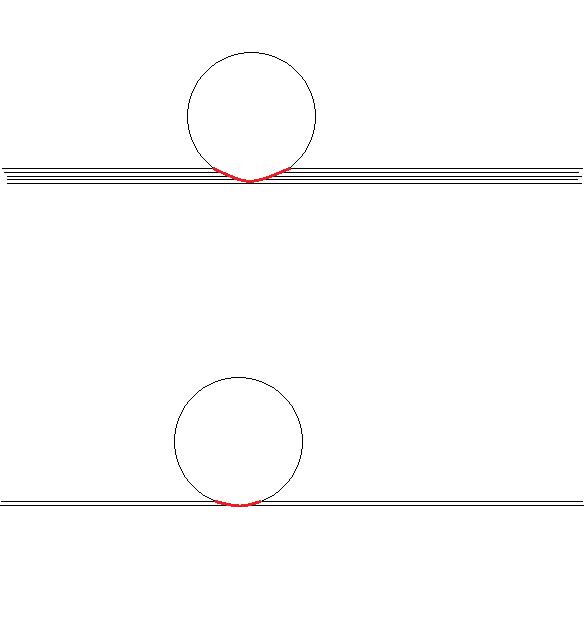 If there is barely any deformation, then the flat surface doesn't get to make good contact with the page. This makes it hard for the tip of the pen to actually roll, which is what moves the ink from the cartridge to the tip. It would also make a thinner line due to less contact area. The top one has more pages, the bottom one has fewer. I've exaggerated how much the pages deform obviously; but the idea is that having more pages below with make that indent larger; leading to the increased surface area on the pen tip. Note that this doesn't really apply to other types of pens. Pens that use other ways to get the ink out have less of an issue writing with solid surfaces behind; but ballpoint pens are usually less expensive and more common. On a base/bed of several soft paper sheets the steel ball of the pen makes a better deeper contact by indentation with side cushioning. The contact area diminishes when just a few pages of a notebook are left with less padded cushioning. In metals also a Brinnel hardness tester leaves a deeper permanent impression on softer metal than on hardened material. Somewhat like the difference between out of control forced skiing dragged down after a fall in thick snow and the normal glide skiing. Not the answer you're looking for? Browse other questions tagged newtonian-mechanics forces friction everyday-life material-science or ask your own question. Why do books have dog ears? Why is my ballpoint pen spatially temperamental? 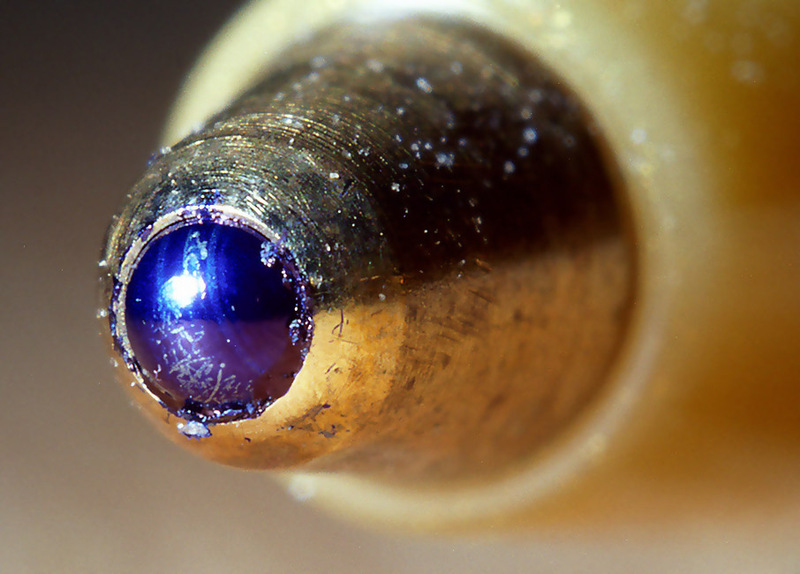 What causes ballpoint pens to write intermittently? Why doesn't air below a falling object balance its weight? Why is the return current through a printed circuit board's ground plane concentrated below the circuit trace? How is it possible that SI units allow us to write $F=ma$ without an extra constant? Why Refill of Gel Pen contains some transparent type liquid? How do towels stay on hooks? Why is the spine of a book blue?